Protect and personalize your MacBook. Our lightweight, form-fitting MacBook Case offers protection without sacrificing access to ports, lights and buttons. 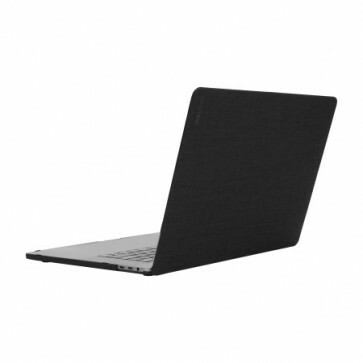 This durable MacBook cover features sophisticated styling, injection-molded construction and rubberized feet to keep your laptop firmly in place. The Textured Hardshell features Woolen Polyester material that repels moisture, mildew and chemicals. This ultra-durable polyester-based fabric with the hand feel of a cotton blend has a high abrasion resistance and is resistant to stretching and shrinking.